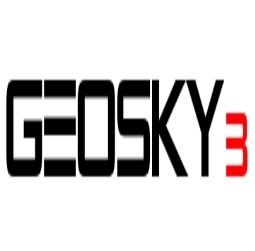 Geosky3, LLC was founded to provide aerial imaging with the use of UAS (unmanned Aerial Systems). Professional equipment and crew deliver high resolution imagery that stand out like no other. Our company, with experience in drone technology and IFR rated pilots, received FAA Exemption 333 from the Federal Aviation Administration (FAA). The Inspire 2 records at up to 4K using a 1inch chip for an image of 20mp. A dual battery system prolongs the flight time to a maximum of 27 minutes (with an X4S), while self-heating technology allows it to fly even in low temperatures. at a controllable attitude angle of 25°. Upward facing infrared sensors scan obstacles 16ft (5m) above, adding protection when flying in enclosed spaces. Obstacle sensing systems are active during normal flight, RTH and all Intelligent Flight Modes. These sensors are core components of the DJI Flight Autonomy system, which brings the below intelligent features to the Inspire 2. Increased intelligence adds multiple intelligent flight modes, including Spotlight Pro, giving even single pilots the ability to create complex, dramatic shots. Spotlight Pro uses advanced visual tracking algorithms to lock onto a subject during flight, regardless of the direction that the Inspire 2 flies, creating shots that would once have required a dedicated camera operator. If the gimbal comes close to reaching its rotation limits, the Inspire 2 itself will rotate in the same direction without affecting flight control or the shot being captured to free up gimbal movement. It has two shooting modes, Quick Mode and Composition Mode. In Quick Mode, select an object to begin tracking. In Composition Mode, select the subject and the tracking position. When the subject enters the preset tracking position, press the shortcut to begin tracking. The gimbal can be moved during shooting for composition adjustments. switch between 2.4GHz and 5.8GHz** control frequencies to cut through noise for greater signal stability.